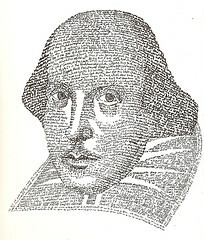 Read Shakespeare’s sonnets, or read a Shakespeare play. Peruse lesson ideas at the Folger Shakespeare Library‘s web site and create a Shakespeare lesson for your students. Watch an adaptation of a Shakespeare play or the wildly historically inaccurate but fun Shakespeare in Love. Take up historical fiction based on Shakespeare’s life. I’m reading Nothing Like the Sun by Anthony Burgess, but other options include The Shakespeare Diaries: A Fictional Autobiography by J.P. Wearing, The Shakespeare Stealer by Gary Blackwood (YA), or Shakespeare’s Sister: A Novel by Doris Gwaltney. If you can’t be in Stratford, be there in spirit while viewing this photo essay on Shakespeare’s Birthday Celebration.